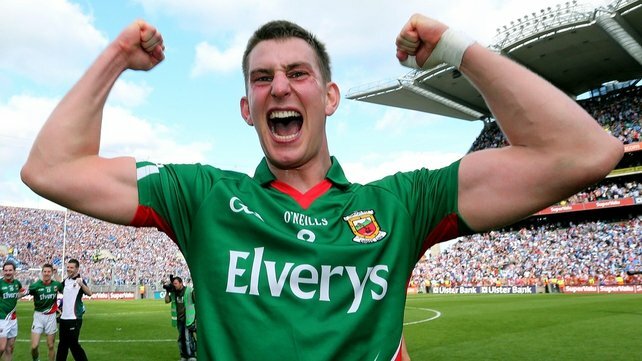 Last Player from unfashionable clubs to play Senior Championship for Mayo? Re: Last Player from unfashionable clubs to play Senior Championship for Mayo? OK, stand corrected. It might have been the north mayo before the county semi .... although mightn't even have the right year ! Anyway, point is there are plenty of raw nuggets playing junior football that need a bit of polishing and it is only through investment by the county board that such polishing can take place. Could have been 1988, Dempsey and Staunton would have been in their last year of minor. Ineeresting article in the Indo today about Corks All Irekand winning squad. Have to admit I was very impressed with Michael Forde, he has the makings of a real gem. It was unusual this year to see so many Junior clubs represented for Mayo - Forde from Ballycastle, Conor Walsh from Balla, Darren Durkan from Parke and Adrian Leonard from Lahardane. It seems that the management may have done a proper scouting of the county. Things like the West Mayo set-up this year might help too to bring guys like Ollie and Vinny Feeney and Simon Cloherty into contention. That wouldn't have happened if they were just relying on Junior. What constitutes an unfashionable team, does it have to be senior, or can it be Intermediate or Junior but doing well at those levels? I'm hoping they are in 3 weeks. Presntly Garrymore, could be labeled, they would definitely not have been in the 80's. Balla unfashionable today, but where top dogs in the '90's. Unfashionable is what it says on the tin, not often noticed in (Mayo) Gaa. This is not to dig at any club. Hollymount would be unfashionable now as well. They have had an amazing fall over the last couple of decades. I still have nightmares about going there. Forde featured as prominently as he did cos he had a years fresher football in NUIG under his belt. If he hadn't this and was only going to college this year i doubt he would have been such an influence ..... how many potential minors that didn't have the experience of a years fresher football missed out cos they weren't considered good enough after a few trials ? This is not to in any way dismiss the efforts of the minor selectors in scouring the county but investment by the county board in divisonal structures will lead to more players like Forde coming through from the 'unfashionable clubs' (what would we call them then ?!) ... the polishing of the raw diamonds. An investment of say 15K a year in the North Mayo division (say at U-16, U-18, U-21 and senior grades) where all the junior clubs merge as per the temporary effort of 7 or 8 years ago would in time see a better balance of players coming from these smaller clubs a la Cork. But that 15K a year is now needed to service the debt on the big slatted house in Castlebar. Could we rent it as a slated house in the winter? Be one way to service the debt.